Lager's Key Yeast May Have Come From Argentina : The Two-Way For decades, scientists have been trying to find the "parent yeast" that makes lager beer possible. Now, it's been discovered in Patagonian beech trees. An Argentinian heritage? 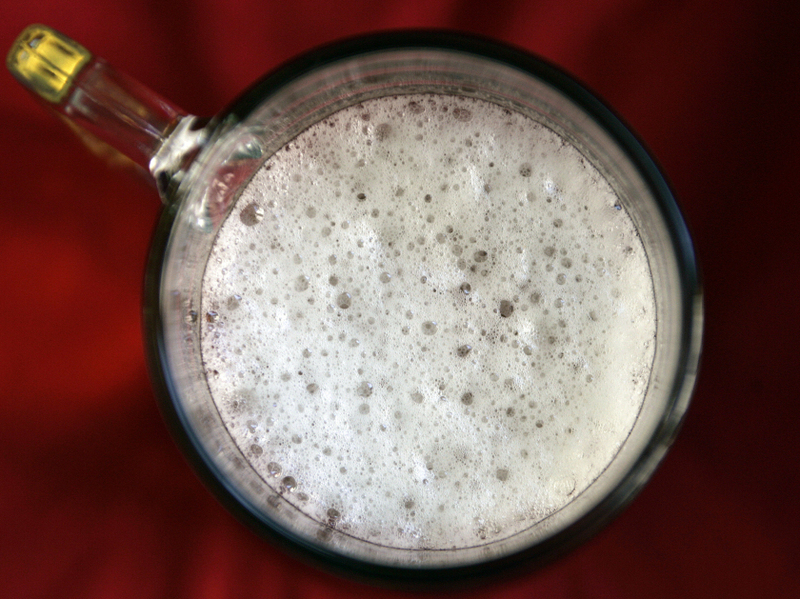 Scientists say the key yeast in lager may have originated in Patagonia. We have to confess we didn't know that for decades, scientists have been trying to find the "parent yeast" that makes lager beer possible. And now, they may have an answer: Beech forests in Argentina. As the Los Angeles Times, the BBC, International Business Times and a case full of other news outlets report, researchers have traced the Saccharomyces eubayanus yeast to Patagonia — and specifically to some rather gross-looking, round, orange-colored galls that infect beech trees there. The scientists' findings have been published in the Proceedings of the National Academy of Sciences of the United States of America. The yeast is unique because, as the Times writes, once it was "hybridized with the domestic yeast used to brew ale" in Europe, it created an organism "that can ferment at the lower temperatures used to make lager." "The resulting hybrid, representing a marriage of species as evolutionarily separated as humans and chickens, would give us lager, the clear, cold-fermented beer first brewed by 16th century Bavarians." Now, a cautionary note about this discovery. As several of the stories say, Argentina is the only place where the elusive yeast has been found so far. Gavin Sherlock, a geneticist at Stanford University who was not among the researchers involved in this discovery, tells the Times that there's always a chance scientists will also find it somewhere in Europe (though they have looked and not had any luck). That's true, one of the report's co-authors acknowledged to the Times. "It certainly could have existed somewhere else," said Chris Todd Hittinger, an evolutionary geneticist at the University of Wisconsin-Madison. "Just because somebody hasn't found it doesn't mean it doesn't exist." And there's no hard evidence to show how the yeast, if it did originate in Argentina, got to Europe more than 500 years ago. Among the theories: "The stowaway yeast ... may have been transported from a distant shore on a piece of wood or in the stomach of a fruit fly," says International Business Times. Possibly, it traveled by ship. "Knowing the ancestral strain to the modern day lager-brewing yeast will help scientists pinpoint the effects of domestication in the genome of brewing yeasts. And there is also the possibility that there are other undiscovered species of yeast in those Patagonia forests that could become the next best brew."